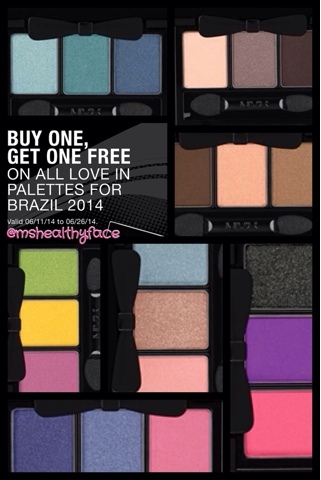 In honor of the World Cup 2014, Nyx Cosmetics is having a buy one get one free sale on all 'Love in Rio" eyeshadow palattes, and there are over 20 of them ranging from nudes to neons! 'Escape with Rico' and 'Sway with Lola' are my faves! They are available on nyxcosmetics.com for $6!